PMW Property are delighted to announce that permission has been granted to develop Holly House Farm at Blackbrook, Derbyshire, which is currently the remains of an historic farm and surrounding land, this exciting new development will be designed to compliment the historic origins of the site. Julia of PMW Property has worked closely with Rebecca Beardsley from Planning and Design, Derby who interpreted the requirements of our company and produced an innovative design for the plot. Julia and Rebecca have been working with a conservation officer and the plans for the new-build are a reflection of how he felt the site would best be developed. The remains of the original farmhouse and outbuildings are sensitively conserved and incorporated into the new scheme. 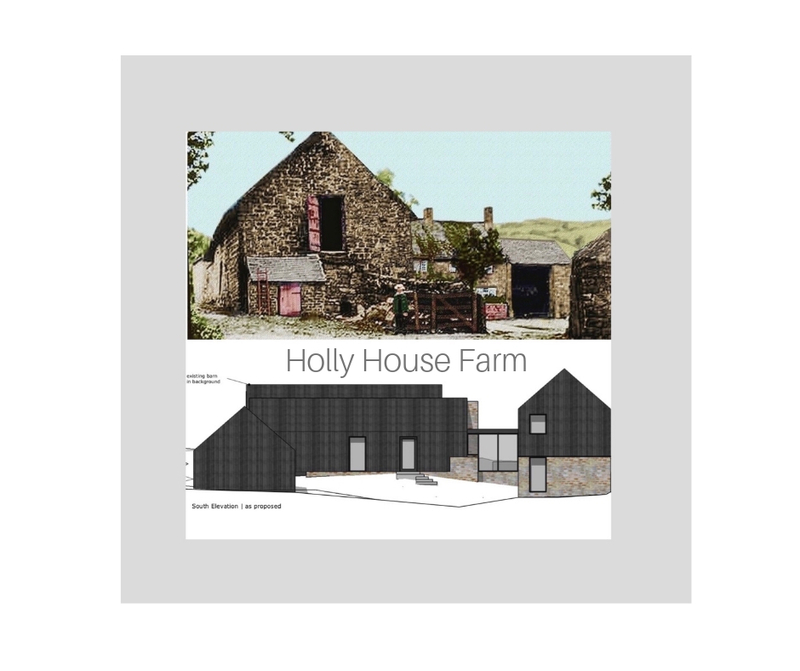 The house will closely resemble an agricultural building on a scale similar to that of the original farmstead, which will enhance the surrounding landscape within the setting of the world heritage site. PMW Property has a wealth of experience in developing commercial real estate and this prestigious site brings an opportunity to create a beautiful contemporary house with adjacent annex. With over 4,500 square foot of space, wonderful views over the Derwent Valley and landscaped gardens, this property will be an outstanding dwelling.